This post was sponsored by Tap Influence and Hairfinity, all opinions are mine. I was a little bit skeptical about how well the product would work when I received my 90 day trial of the Hairfinity supplement. I have 3 very young boys, all under the age of 3. The pregnancies certainly took a tole on my body and hair. Several months after the birth of my youngest I noticed the amount of hair I was losing seemed worse than ever before and my hair seemed brittle and dry. I decided to jump right in to the first bottle and see what happened! The product boasts “Healthier Hair From the Inside Out”. 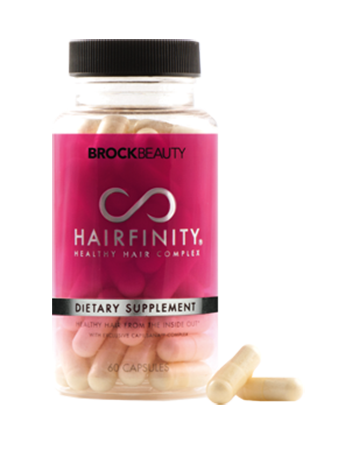 Hairfinity is a natural dietary supplement formulated with essential vitamins and nutrients for healthy hair. It fills the gaps left by your regular diet to provide your body with the nutrition it needs to grow healthy hair. 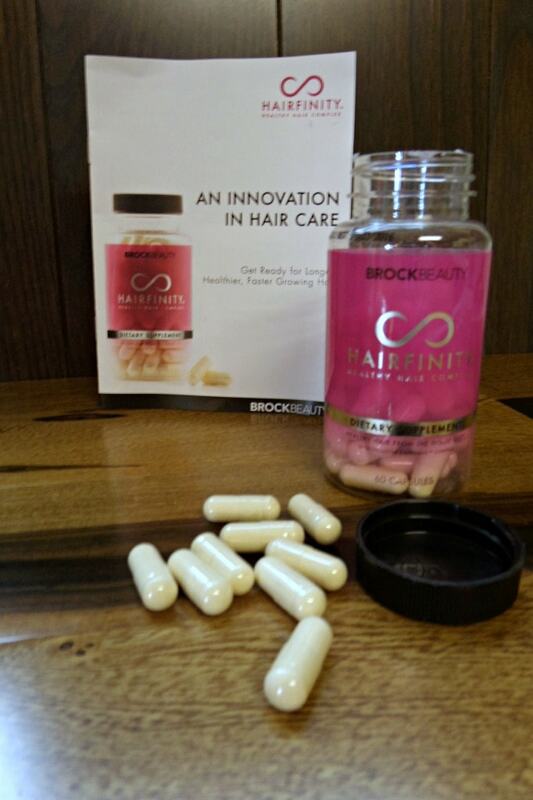 Hairfinity states that customers report their hair appears healthier, shinier, thicker, longer, and more manageable. They also report faster growing hair as a result of using the supplement. 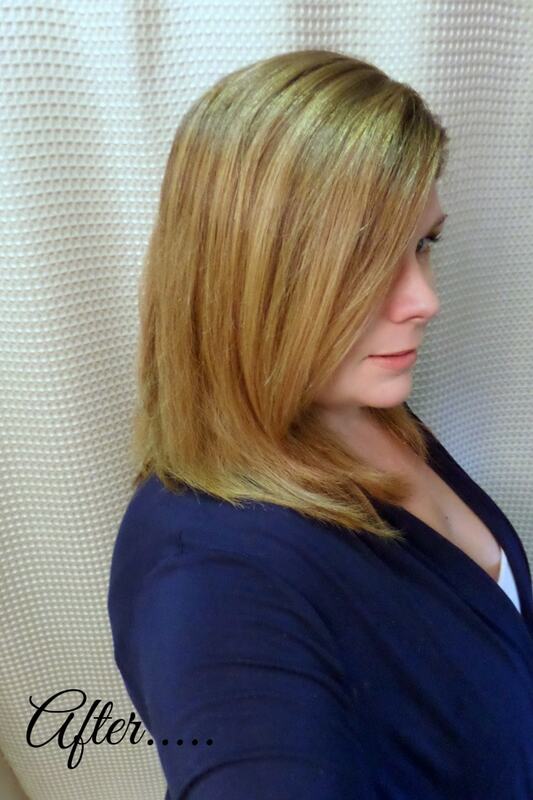 Okay so….without further ado, here is my before photo! I have very coarse, very dry, very thick hair that is really hard to manage. I don’t usually straighten it or curl it because the natural wave and the weight of my hair really fight against me. I also feel like the last year or so my hair is just not as healthy as it should be. 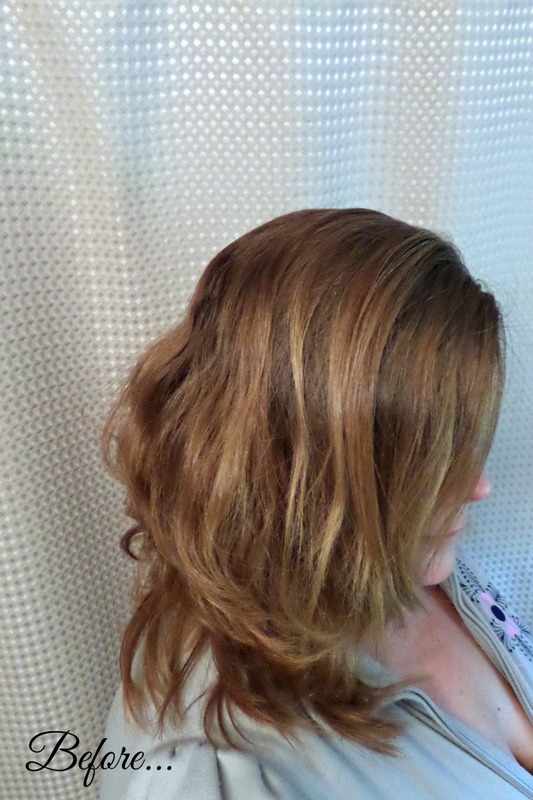 The supplements contain Biotin for healthy hair growth. Biotin also protects against dryness. It also helps produce keratin that prevents hair loss. In addition to the Biotin, the supplements are packed full of Niacin (vit B3), Vitamin B5, Vitamin A, Vitamin C, Vitamin D, Vitamin B12, Vitamin B Complex, and an exclusive Capilsana Complex. The Capilsana Complex delivers a blend of Hydrolyzed Collagen, MSM, and Silica that provides Amino Acids which are the building blocks of the protein that give hair it’s strength. I started taking several vitamins and supplements earlier this year including Vitamin D and C as well as a B complex. I eat a pretty healthy diet and don’t use a lot of product in my hair. I avoid using flat irons, curling irons, and rarely use a blow dryer. Generally my hair is healthy (or I thought). Here is my after photo! My hair got quite a bit of summer sunshine which lightened my hair some. I feel like my hair is not as coarse or dry and I have definitely noticed less shedding. I see a difference in length but can’t really say if it grew any faster than it typically does. I had my hair thinned and trimmed recently which always helps my hair seem more manageable so again, I am not sure how much of the better manageability is due to the product or the cut. Overall, I think the vitamins and nutrients found in the supplements are great for healthier hair and a healthier you. The vitamins individually have many benefits that I would take them for. To me, the healthier hair is a great bonus! They do say “you are what you eat”, so I guess it makes sense that vitamins would help your hair also! It looks like it really works! It sounds great if you ask me. I picking some Hairfinity up immediately. I have fine hair, so anything I can do to improve it is always a top priority for me. Wow, do I need this stuff – like in the worst way imaginable. My hair is fine, AND it’s pretty beat up from all the coloring I do. This sounds like a great product. We take vitamins for our bodies, why not for our hair, too? I have trouble adjusting to many supplements but I know a few people Hairfinity has really worked for. 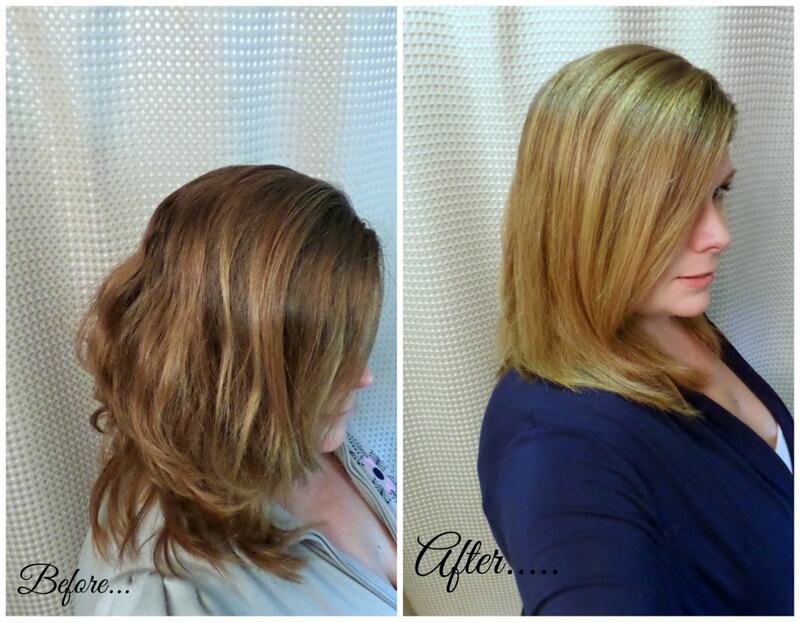 It looks like it’s helped add shine to your hair! That is quite a difference. I need serious help with my hair, it is so dry. I should give these a try.